24-Team Bracket (Single Elimination): For Basketball, Football, Tennis, etc. Not bad. Having 24 teams sign up for your tournament is a big turn out. Now that you have the amount of teams locked in, you’re looking at the next steps and a blank 24-team bracket is what you’re looking for next. 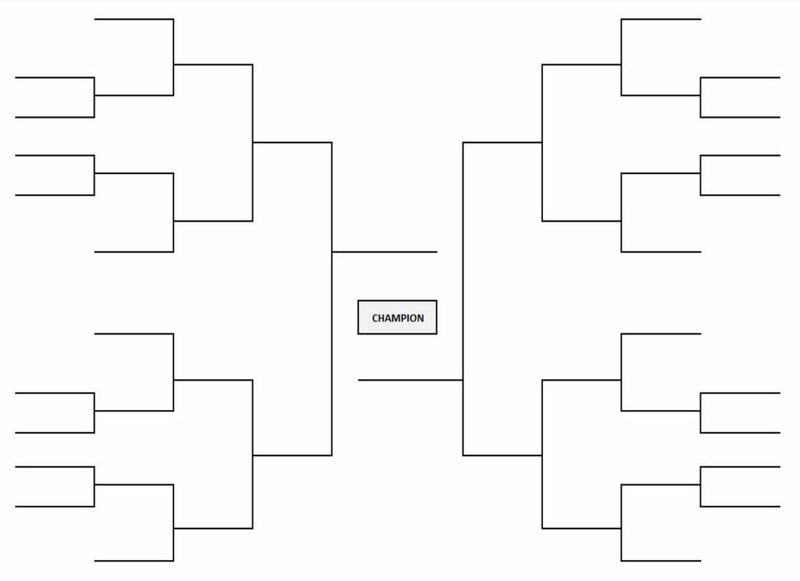 No matter if it’s football or basketball or rugby, our printable brackets will fulfill your needs for your tournament. Our 24-team printable brackets were created with 20 tournament teams in mind as well as single-elimination and five full stages of exciting games that will come down to one champion. Our blank brackets are not only empty; ready to be populated, but come in several types (blind draw or seeded), different formats (PDF, Word, or image) all of which are ready to be filled out and personalized. How to Deal with a 24-Team Bracket? 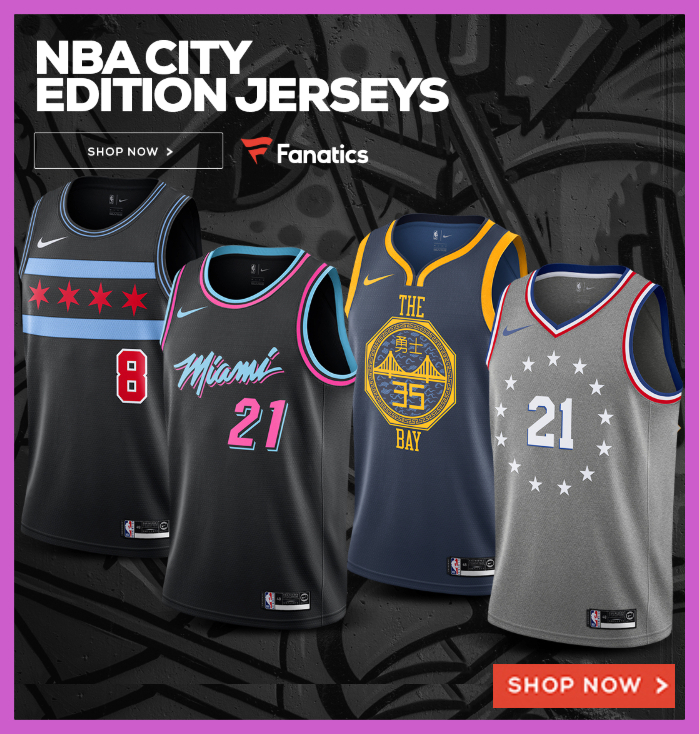 A sports tournament with 24 teams might seem like a nice even number that’s easily divisible, but in action a tournament bracket with two dozen teams isn’t ideal in terms of running the smoothest tournament. That said, it’s not a huge problem. As we’ve recommended before, we recommend capping participating teams at one of the following numbers: 4, 8, 16, 32, or 64 teams. With these number of teams, so there’s no additional, potentially subjective, decisions in regards to seeding, etc. In a 24-team tournament field, we start with eight teams playing into the larger bracket. The winners of those play-in games will play the best eight seeds. Those remaning teams then play until there’s only one undefeated team left — the champion. With twenty-four teams in your bracket, you’ll seed with this logic: the highest seed will play the lowest seed on both sides of the bracket. Unfortunately, it’s not as clean with 24 teams. With 24 teams, there’s eight play-in games between the 16 lowest seeds in the bracket. That means the top eight seeds in the bracket will get a bye. 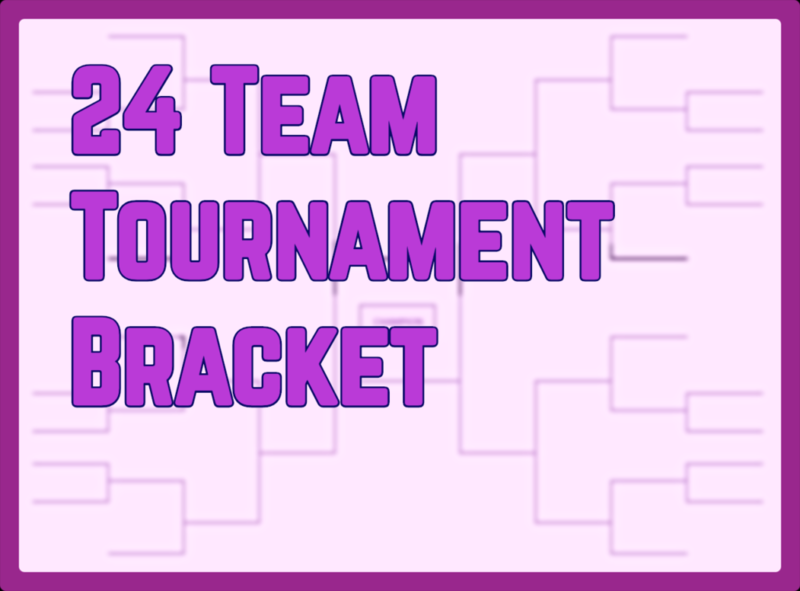 Our blank, single-elimination 24-team bracket gives you the option to download and print the bracket in the format you want to print out and populate team names, seedings or more with your writing utensil. To download our printable blank 24-team bracket, click. If it’s PDF you want then please download the most-updated version of Adobe Reader so you can open, view, print and edit our 24-team bracket. Click here to download. If you’re like to edit and customize the bracket, like adding in seeds, teams or logos, dates, times, and locations then please download and the Word document from Microsoft to edit and populate your tournament’s information. No matter the type of tournament, our blank brackets are perfect for any team sport. Here’s some examples of brackets across several number of teams. As long as your sports tournament is single-elimination then the above brackets will serve the purpose. If you don’t think it would work, it will. The following sports can be applied to our printable brackets, in alphabetical order: baseball, basketball, football, hockey, lacrosse, rugby, and soccer The brackets even work with individual sports like tennis.